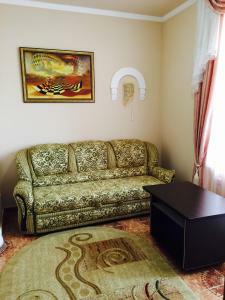 A-HOTEL.com - Luxury and cheap accommodation in Bardane, Russia. Prices and hotel, apartment booking in Bardane and surrounding. 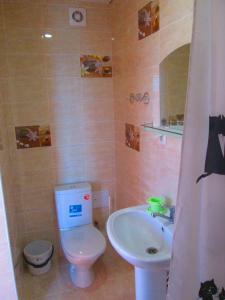 Situated in Vardane, within a 15-minute walk of the Black Sea coast. Hotel Mayak features air-conditioned rooms and free private parking. Located in Vardane, Pansionat Sheksna features a seasonal outdoor swimming pool and a tennis court. Featuring a 24-hour front desk, this property also provides guests with a children's playground. Set in Sochi, 35 km from Green Theatre, Guest House Dva Osetra provides accommodation with a garden. The property is around 37 km from Rivyera Park, 38 km from Sochi Winter Theatre and 39 km from Sochi Summer Theatre. Offering free WiFi, a sun terrace with a swimming pool, BBQ facilities and garden, Guest House Mayak is situated in Detlyazhka. Boasting a 24-hour front desk, this property also provides guests with a children's playground. Featuring free WiFi, a barbecue and a terrace, Guesthouse Vek offers accommodation in Yakornaya Shchel, 10 km from Thirty-three waterfalls. Guests can enjoy the on-site canteen, offering home-made meals. Situated in Vardane, IMPERIAL provides air-conditioned rooms with free WiFi. With a seasonal outdoor swimming pool, the property also has a tennis court, as well as a fitness centre. Providing free WiFi, a sun terrace with a swimming pool, garden and bar, Guest House Leto is situated in Vardane. Boasting a 24-hour front desk, this property also provides guests with a children's playground. Set in Yakornaya Shchel, 18 km from Thirty-three waterfalls, Katyusha Guest House features accommodation with barbecue facilities. Among the various facilities are a garden and a terrace. Guest House Emiliya in Yakornaya Shchel features an outdoor swimming pool and a garden. Boasting an ATM, this property also provides guests with a children's playground. Providing free WiFi, a sun terrace with a swimming pool, BBQ facilities and garden, U Olgi Guest House is set in Vardane. Staff on site can arrange airport transfers. Situated in Vardane, 22 km from Sochi, Katusha Hotel features an outdoor pool and views of the sea. Each room at this hotel is air conditioned and has a TV. Situated in Nizhnaya Beranda, Park-hotel SochiINN features barbecue facilities and free WiFi. Among the various facilities are a garden and a terrace. Located in Vardane, Uyutny Dom features barbecue facilities, garden, terrace, and free WiFi. Featuring free shuttle service, this property also provides guests with an outdoor pool. Set in Vardane, Guest house Uyut offers a seasonal outdoor swimming pool. Among the various facilities are barbecue facilities and a garden. This guest house is located the village of Yakornaya Schel, just a 15-minute walk from the pebble Black Sea coast. Free Wi-Fi, a sauna and a 24-hour reception are featured at Yellow House. An outdoor swimming pool is offered at this modern hotel in Vardane, set in scenic forest and mountain countryside. 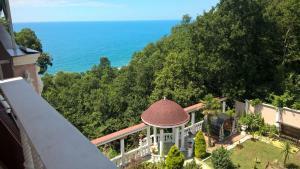 All rooms have a balcony with views of the Black Sea, 50 metres away.